Following The Coral’s triumphant return, Getintothis’ Jessica Borden explores the unique world they create within their latest album. Fourteen years ago, The Coral released their eponymous debut album and within eight years they released five more albums. By the time they announced their hiatus they had released six studio albums (seven if you include the acoustic version of Butterfly House), a singles compilation and numerous charting singles. Pressing pause seemed to make perfect sense. The solo projects kept appearing, from new bands to poetry books, The Coral’s members kept working together and creating incredible pieces. In 2014 with The Curse of Love, a lost album, released, the murmurs of whether or not this marked a larger return for The Coral began. For a band that never played the industry games, they have managed to get at least three songs into public consciousness without compromising the sound they wanted. 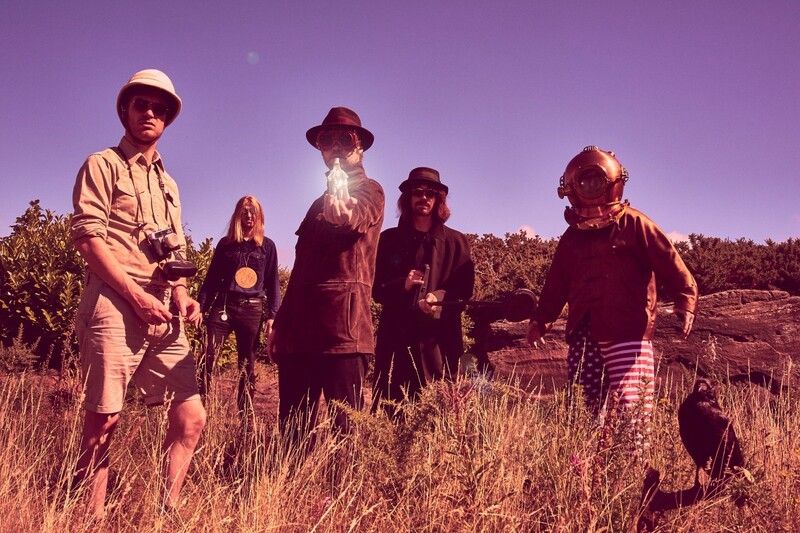 Then after years of hiatus, November 2015, The Coral announced the release of their first new studio album in five years and a spring UK and European tour for 2016. An announcement that was greeted with joy, excitement and all the anticipation of Christmas eve. This was the precursor to 2016, a year which deservedly belongs to The Coral. March 4 marked the album release day and first day of The Coral’s UK and European tour. The start of an insane year for the band. The heavier psych sound with blues riffs (helped along with the edition of Paul Molloy to the bands line up), storming bass lines courtesy of Paul Duffy and their twist on what would make great indie pop tracks made this album stand out straight away, not just from what was already around in charts but from their own past catalogue. From these three tracks in public consciousness, most famously Dreaming of You, it could be easy to perceive The Coral as your run of the mill indie pop band that put their own spin on a formula. But time and time again The Coral surpass that and prove that assumption completely wrong. In a year that saw them headline Sound City on May 29 and two UK tours and one European tour, support The Stone Roses at Etihad Stadium on June 17, hit number one on the Official Vinyl Albums Chart and number 12 on the iTunes UK album chart, and play to numerous festival crowds, The Coral also created an array of incredible videos to go alongside their singles, opened an exhibition to show the art work created by Ian Skelly and the lyrics (typed up on a typewriter by both James Skelly and Nick Power) behind the album while also releasing an EP, The Coral repeatedly showed how inseparable the combination of art and music is. The music videos like Miss Fortune which resembles the bands beloved B movies of the 50s, from the jarring movements to masks and spinning clocks, the magic which seems contained in the deep sea divers masks paired with the distortion of movement and colour, creates their very own B Movie in the realms of The Beast from 20,000 Fathoms, Robot Monster and Plan 9 From Outer Space. The use of technique found in B movies can also be found in Holy Revelation, from the animation of drawings to structure of the video where the background and foreground can quite easily be seen and separated like how you could easily see the functions of the B movies whether it was jarred movement from costumes or strings from a prop, it adds an element of things not being what they seem. In true style of B movies which were always a second feature but then became cult loves, The Coral themselves appear to be a cult band not playing by the usual rules of the music industry. Million Eyes which gives an insight into the projections and art which plays behind them at gigs strays away from the B movie themes and goes towards abstract visualisations, creating images using the music, the focus of the patterns and the colours representing the psychedelic melodies and harmonies which are being played, showing the literal connection between art and music. December 6, Red House Originals Gallery opened an art exhibition based on the album art work and all of the prints created in support of that by Ian Skelly. This included the original prints, Lyrics typed up and framed and the aforementioned deep sea diver mask. The exhibition allowed people to truly dive into the world they created, with the same intensity that is created when reading Alan Moore’s graphic novels, becoming lost in a world that allows you to delve into issues and situations without the normal commentary of happenings. This seems most present in the techniques Skelly uses in his art, from the turning cuttings into collage and the clashing colour choices in movie style posters to the sketches which give a nod to the graphic novel influence. The contrast between techniques and colour used, conflict and compliment each other in a way which creates striking imagery and illustrates a new world where Distance Inbetween takes place. The album’s concepts inspired by Alan Moore’s graphic novels seems present in the album and the art, it isn’t hidden or pushed to the side, it is embraced to show what they love. As is the band’s appreciation for David Lynch which is shown in videos and the haze over some track which creates a dreamlike, surreal atmosphere. This atmosphere is carried through the tour diaries Nick Power kept throughout the year, all of which held another worldly aspect, the same way nothing at 4 in the morning seems wholly real. The diaries read like long lost articles by H. S. Thompson complete with stolen bags, strangers in hotel rooms and of course the obsession of music. December 9, Holy Mountain Picnic Massacre Blues EP was released and contained remix’s and the track Unforgiven which was originally a B side to Chasing The Tale of a Dream. With thinking of the album as a world unto itself, then this EP marks a dive into a darker area of this world, the remix’s and new tracks expand on the heavier blues influenced track of Distance Inbetween. December 17, Manchester was the last gig of the December tour, the supports come in the form of Rory Wynne and The Sundowners. 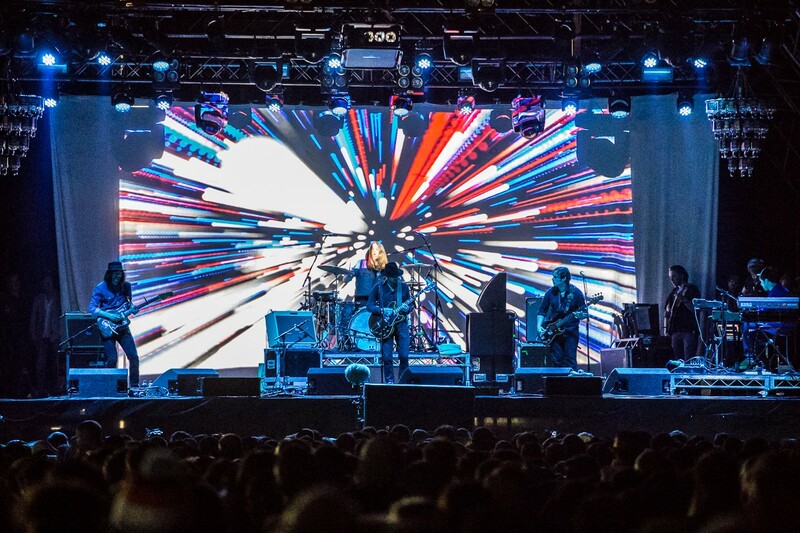 The Coral come to the stage and delve straight into a set which effortlessly combines the old and new material with the psychedelic projections which change throughout the set to match the track being played. They fit with such precision, that the care that is put into them is evident from the get go. As the tracks swirl throughout the room and the audience rejoices at the classics such as Jacqueline and In The Morning are sung out at full volume. The new material is greeted the same as the old as Miss Fortune and Holy Revelation amount to the same volume of cheering and dancing. Dreaming of You comes last, finishing on a high note as the room explodes to the anthemic track. The Coral end their year, having returned to music as more than just another band, they surpassed the idea of being another northern band, they surpass geography and circumstance by creating their own worlds inside their albums. They follow in the footsteps of great all encompassing artists such as Bowie, Hawkwind and The Grateful Dead and are one of contemporary music’s best depictions of music and art being intertwined.